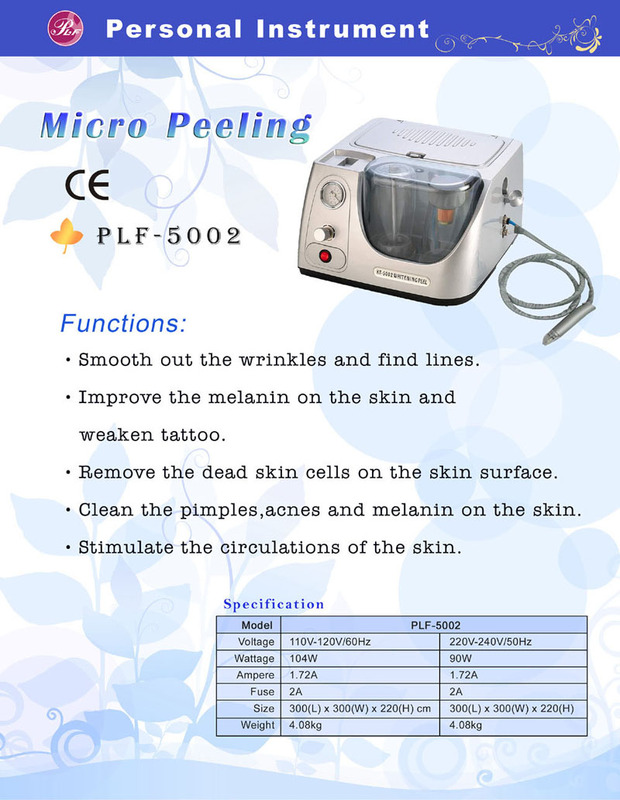 Beauty Instruments (PLF-5002) micro peeling - High quality Taiwan Beauty Instruments (PLF-5002) micro peeling provides by Palifull Co., Ltd.
skin for body and face. 1. Smooth out the wrinkles and fine lines. 2. Remove the dead skin cells on the skin. 3. Clean the pimples, acnes and melanin on the skin. 4. Stimulate the circulation of the skin. 5. Improve the skin to keep moisture. 6. Improve the melanin on the skin and weaken tattoo. the treatment on face or body.